Click the chart for more information. U.S. stock futures were treading water early Friday at the end of a week overshadowed by the threat of a U.S. led-military strike on Syria. Friday is expected to be a quiet trading day before the three-day Labor Day weekend, but investors are waiting for a few economic reports. Data on U.S. personal income and spending in July will be released at 8:30 a.m ET, and the University of Michigan will release its latest consumer confidence survey at 9:55 a.m. Concerns over Syria have for now receded, contributing to a relatively placid mood in the markets. The possibility of military action sparked market volatility earlier. General Electric (GE) shares rose 1.2% in premarket trading Friday after The Wall Street Journal reported that the firm is preparing to spin off its retail lending business. Salesforce.com (CRM)shares were up 7.7% premarket after the company reported better-than-expected quarterly sales and income Thursday afternoon. Krispy Kreme (KKD) shares were down 11% after the donut maker missed earnings estimates and lowered its full-year guidance Thursday. U.S. stocks closed higher Thursday on better-than-expected readings on U.S. gross domestic product and initial jobless claims. European markets were shifting lower in midday trading, with Germany's Dax and France's CAC 40 dropping by nearly 0.6%. The United Kingdom's FTSE 100 was down 0.4%. 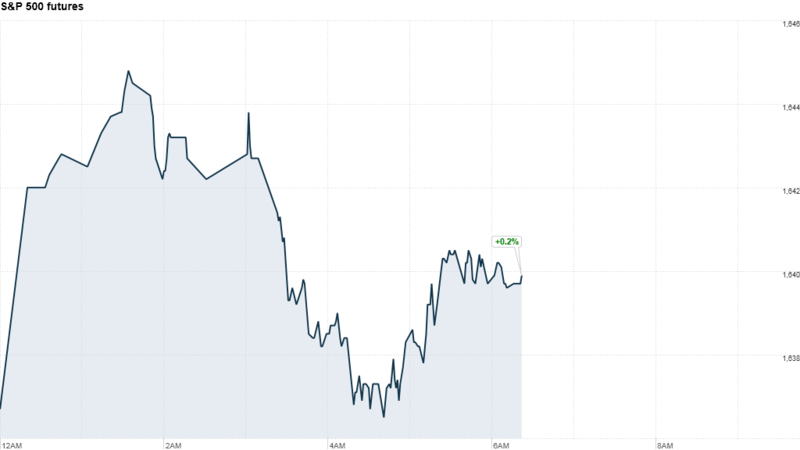 Asian markets ended the week with some tepid moves. Both the Hang Seng and Shanghai Composite index were essentially flat at the close. Japan's Nikkei lost 0.5%.